I had some frozen blueberries sleeping in my fridge. I already did blueberry milkshake and wanna try some different. So while searching the net, got the blueberry muffin recipe from Joy of baking. 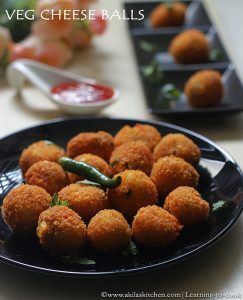 The original recipe calls for the egg but I don’t prefer egg, as my mom would not eat egg, I used egg re-placer and that too, goes well. Preheat the oven 190-200 deg Celsius( 375 F). Make the egg paste as mentioned in the packet. I used 1 tsp egg replacer and 2 tsp water and made the paste. To this add the yogurt, oil, essence and mix well. In another pan, add the all purpose flour, sugar, baking soda, baking powder, salt and mix thoroughly. Now mix the dry ingredients to the wet mixture and mix nicely without any lumps. Now add the frozen blueberries and mix a bit. Pour this mixture to the muffin cups and keep in the oven for 15 to 20 min, or till the tooth-stick, comes out clean. Take the muffins out and cool down and serve. Original recipe goes for Canola/corn oil. When frozen blueberries are used, do not mix very much. Original recipe goes for 1 large Egg. I used, Orgran Gluten Free No Egg, Natural Egg Replacer. Nice presentation. Very cute muffins.. Love it. the muffins look divine..the blueberries give such a nice color! Muffins looks delicious. They have come out perfectly. wow..lovely,,beautifully baked muffins…looking absolutely gorgeous……must try this out..seems easy to prepare..
Wow ! What a presentation!Looks delicious. yummy luking muffins….have a happy weekend dear..
whenever i enters in ur space it was taking lots of time to open completely..i dont know why?can u check out d prb?plz. Lovely muffins :D. <3 your blog. Muffins looks extremely super moist and spongy,well baked..
Super decetable and yummy muffins !!!! Rightly baked too !!!! 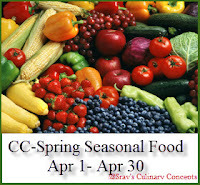 You can link to on going event CC-spring seasonal food !!!!! Super moist muffins…love the 1st picture! !